The Plett Foundation is happy to bring you the 2018 issue (#38) of Preservings, released just in time for Christmas last month! The theme for the issue is “Trajectories of Family Life,” featuring by Hans Werner, Harold Suderman, and Leonard Doell. The magazine also underwent a re-design for this issue; we hope you enjoy the new look! 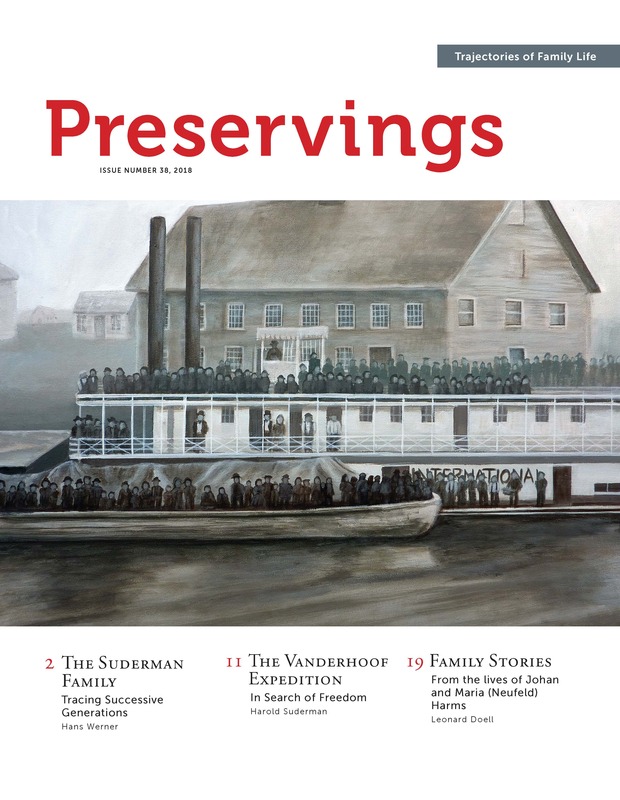 If you’re on the Preservings mailing list, you should have received your copy by now, but if not…let us know! Moved recently? Don’t miss out! Remember to update us on any address changes so your magazine doesn’t join our “Returned to Sender” pile! Please email us with any address corrections, questions, or comments about Preservings. 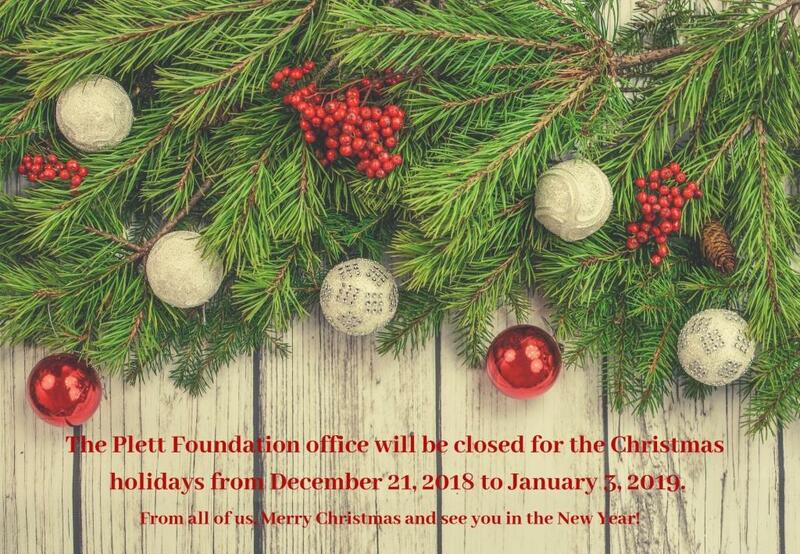 The Plett Foundation office will be closed for the Christmas holidays from December 21, 2018 to January 3, 2019. From all of us, Merry Christmas and see you in the New Year! 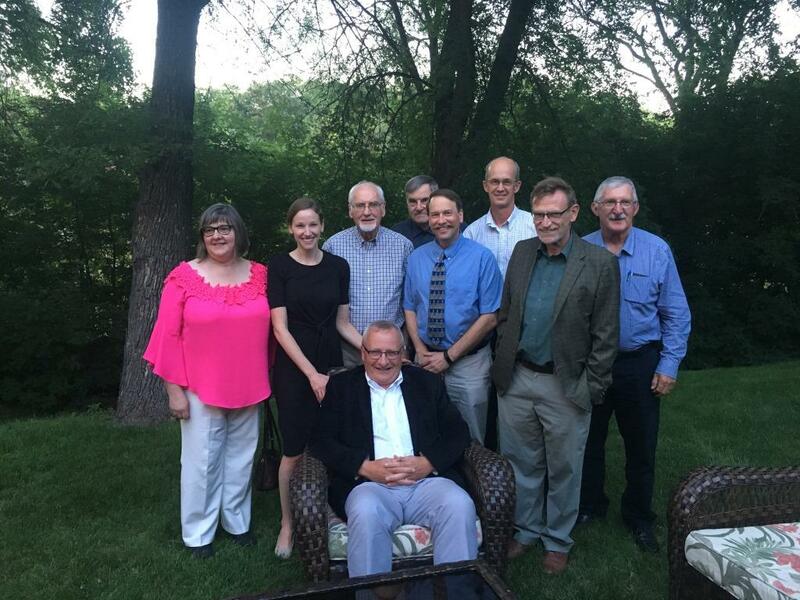 The Plett Foundation’s Board gathered on June 28th to celebrate with Hans Werner as he retires from his position as the Foundation’s Executive Director. Hans joined the Foundation in its early days over a dozen years ago and provided it with clear vision and a strong foundation for the future, which will continue under the direction of Aileen Friesen, the Plett Foundation’s new Executive Director. On behalf of the Plett Foundation’s Board and staff, we wish Hans all the best and a very happy retirement!